On the 50th anniversary of Britain’s first journey into space, the European Space Agency (ESA) have signed a 300 million Euro deal with Astrium UK – one of the largest ever contracts to be signed between the ESA Science Programme and a UK company – for the construction of Europe’s next generation solar orbiter called SolO. Although the UK has only played a part role in the planet’s orbital ambitions – mainly due to political restrictions that even resulted in most UK born astronauts having to become US citizens in order to fly into space – hopes are high than the recently formed UK Space Agency (UKSA) will finally push the country forward on orbit. 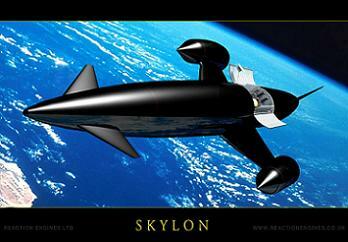 Regardless, the UK already has a number of star players, ranging from the hugely successful Surrey Satellite Technology Ltd, through to the very exciting work being conducted by Reaction Engines Ltd, who are continuing their development of the Skylon vehicle that will utilize SABRE engines. The Stevenage-based Astrium UK are part of a major multi-national company, famed for building large numbers of the spacecraft currently in – and set to ride uphill towards – orbit. Thursday’s deal with ESA was announced on the day Britain sent up its first satellite 50 years ago, when Ariel 1 launched on 26 April, 1962. Also known as S-55 and UK-1, the satellite was launched on a Thor-Delta from LC-17A at Cape Canaveral Air Force Station (CCAFS), marking the UK’s entrance as the third country to operation a satellite on orbit, after the United States and Russia. The next generation Solar Orbiter will investigate how the Sun creates and controls the heliosphere, the extended atmosphere of the Sun. With the contract allowing for the development and construction phase of Solar Orbiter, the spacecraft has a target launch date of 2017. The launch vehicle of choice has not been named, although it was stated that NASA will contribute one full instrument, one sensor – and the launch vehicle. “Today ESA awarded a very important contract in the space science domain to Astrium’s spacecraft design and build facility at Stevenage in the UK,” noted Prof. Alvaro Giménez Cañete, ESA Director of Science and Robotic Exploration and Miranda Mills, National Director – Earth Observation, Navigation and Science of Astrium, who also cited the importance of the UK anniversary for the signing of the contract. In addition, ten scientific instruments will be funded by the Member States of ESA and the United States, and developed by teams led by Principal Investigators from Belgium, France, Germany, Italy, Spain, Switzerland, the UK, and the US. “I am delighted that Astrium has won Solar Orbiter, which reaffirms our leading position in science and exploration missions. Solar Orbiter is the second prime contract awarded by ESA to Astrium in less than six months,” added Colin Paynter, Head of Astrium UK. The new Solar Orbiter spacecraft will follow the heritage of the other European Sun explorers, including Europe’s own PROBA-2, along with spacecraft that include NASA involvement, such as Helios 1 and 2, Ulysses, and SOHO, providing data towards the ambitions tasked by ESA’s Cosmic Vision 2015-2025 programme. The primary goal for the Solar Orbiter will be to investigate the connections and the coupling between the Sun and the heliosphere, a huge bubble in space created by the solar wind that extends far beyond our Solar System. It is through this wind that solar activity can cause auroras and disrupt satellite-based communication. 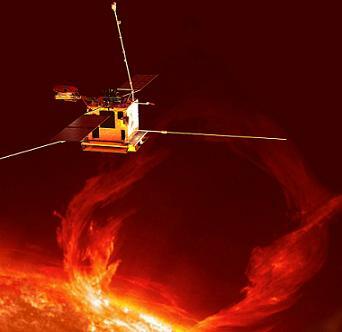 To get a close-up view of the Sun and to observe the solar wind before it becomes disrupted, Solar Orbiter will fly to within 45 million kilometres of the Sun, closer than Mercury. It will image the poles for the first time, helping ESA to understand how the Sun generates its magnetic field.